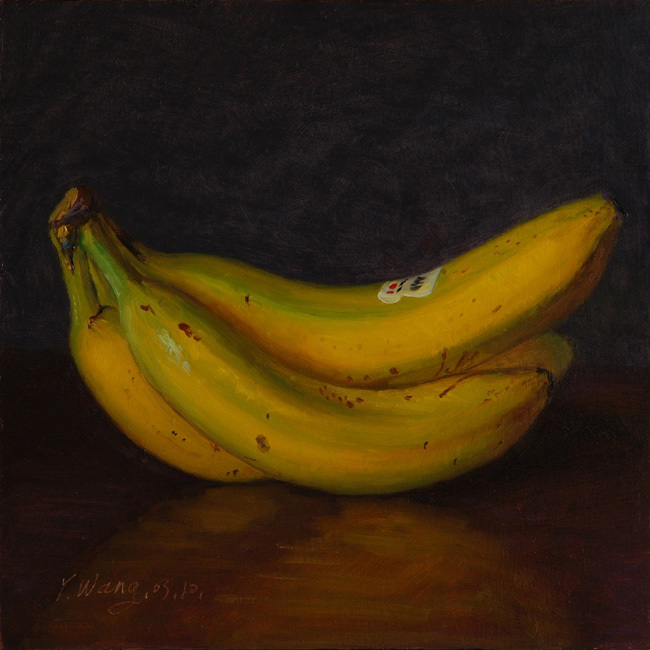 half an avocado, 4x4 in. 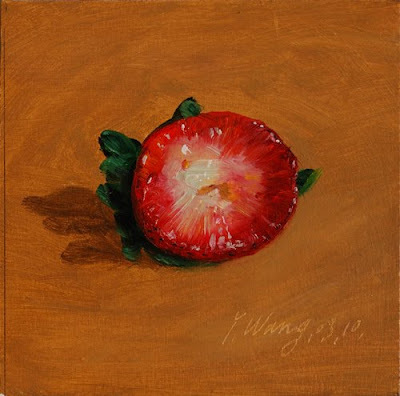 half a papaya, 9x6 in. 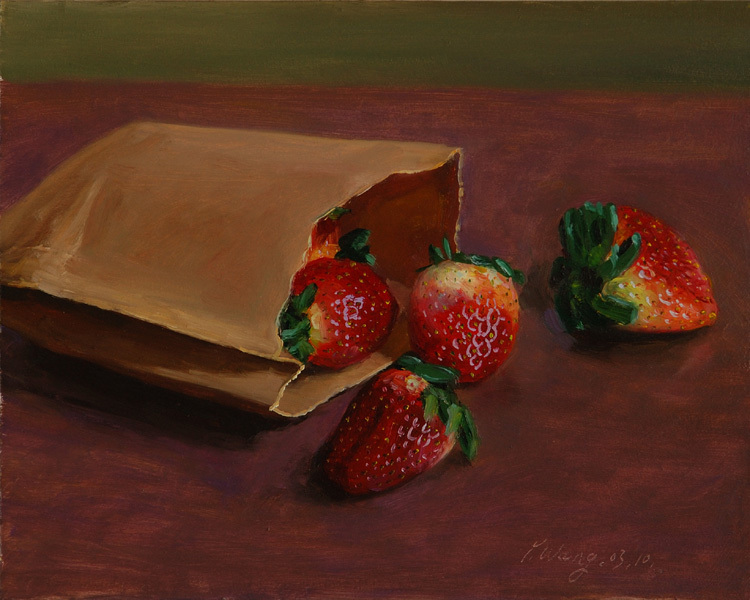 still life with strawberries, 8x10 in. still life with clementines, 8x8 in. 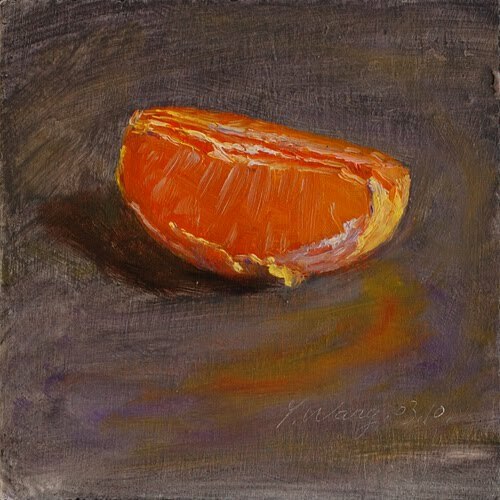 slices of a Clementine 6x6 in. cucumber with a knife 5x7 in. 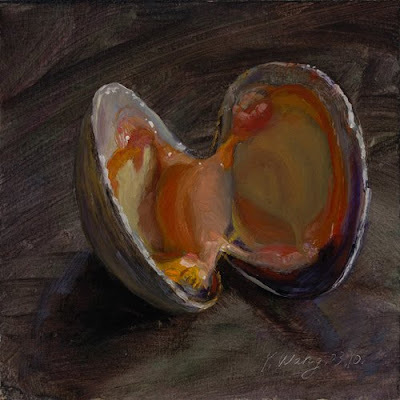 a fried egg in a white plate 5x6 in. a fried egg, 5x6 in. seashell clams with a knife, 5x7 in. 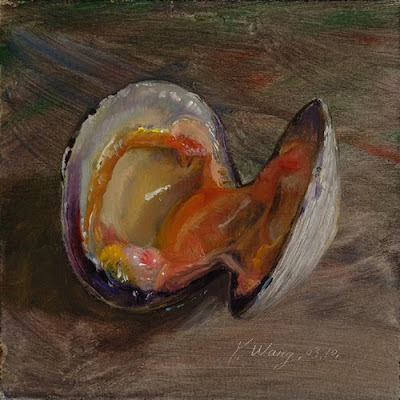 shellfish a clam #2, 4x4 in. slices of orange, 4x4 in. half a lemon, 4x4 in. shellfish, a clam, 4x4 in.